Inman’s Trent Phillips closed in on the leaders at the PGA Junior Championship being played at St. Albans Golf Club near St. Louis. Phillips tied for low round of the day when he posted a 6-under par 66 to move up into a tie for third place going into the final round. Akshay Bhatia, came back to earth in the third round after shooting an 11-under par 61 in the second round. 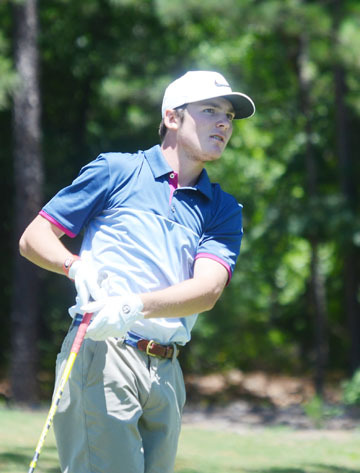 The golfer from Wake Forest, NC kept the lead by shooting a 3-under par 69 to stand at 17-under par. Daulet Tuleubayev from California is in second place two-shots behind the leader. Jacob Bridgeman was in second place when the round started, but fell back into a tie for 5th place after shooting a 2-over par 74.